Among the many people we meet during bike tours is this group of kids from the troubled Santa Fe neighborhood, who often perform an anti-violence hip hop. Every time we meet them, I worry about what these kids will be up to five years from now. Hopefully, though, they’ll still be making music! 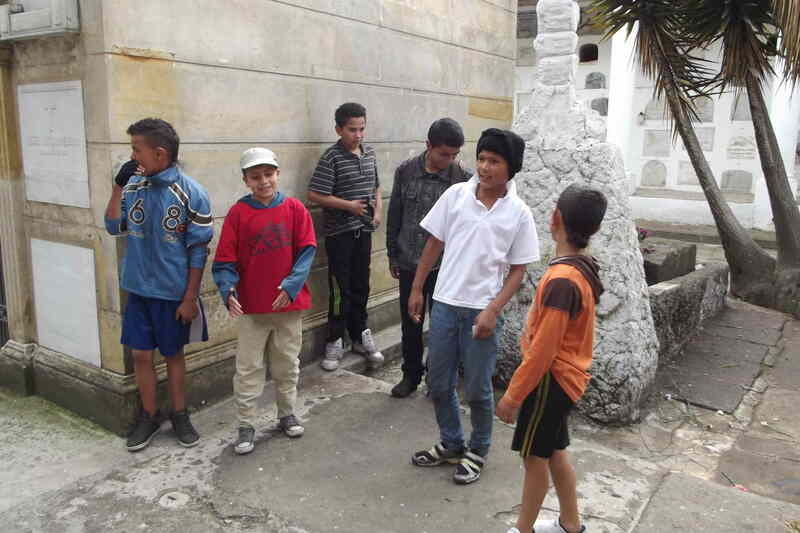 A group of young hip boys rap against violence in Bogotá’s Central Cemetery.